Venton Jones Jr. may share his father’s name, but in many ways, he is not his father’s son. Jones’s father played football in high school, served in the military and made his living as a truck driver. As his father’s only son, the younger man was raised to follow in his footsteps. “I just always rebelled against that,” recalls Jones, now 32, who was born and raised in the Dallas area. “I was in a desperate search for my independence.” He played football for one semester in sixth grade, but then, without telling his father, he switched to choir. As an undergraduate at Texas A&M University, he would tell anyone who asked that he was gay. His family was a different story. Jones worried that his relatives, African American and living in Texas, might not be as accepting. “They were rather homophobic,” he explains. When Jones finally came out to his family members in February 2007, they did not take it well. “It was a very traumatic experience,” remembers Jones, who decided to reveal he was gay, because he wanted to pursue a career working for LGBT organizations. Unable to find a job in his chosen field, he felt his only other option was to enlist in the Army, despite his desire to follow his own path. All branches of the military screen applicants for HIV, and the Army’s testing showed for the first time that Jones—who had been getting tested every three months before trying to enlist—was in fact HIV positive. He confided the news only to his big sister. This was just four months after he came out to his family, and Jones felt it was too soon to hit them with the news that he was also living with HIV. A friend or family member, like Jones’s older sister, can be a great source of support when you’re upset and confused about your new diagnosis. “Just being able to have someone you can process it with can help,” Jones says. Of course, it’s hard to predict how people will respond to the news, even if you’ve known them your entire life. If you’re not ready to tell anyone about your diagnosis, that’s OK too. Jones didn’t tell his father, his two younger sisters or his paternal grandparents, who raised him, until four years after he learned he was HIV positive. “I talked about it in professional settings before I told my family,” Jones says. His openness about his HIV in his professional life led him to finally tell his family. He disclosed his status to them when Jet magazine—to which his family had long subscribed—was about to publish a profile of him. 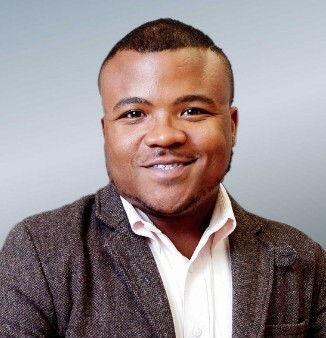 Today, Jones serves as program officer for LGBT health and wellness initiatives at the National Black Justice Coalition, an LGBT civil rights organization in Washington, DC. He’s engaged to be married in 2017 to a man who’s HIV negative. His family loves his fiancé. “I don’t think that I could have done anything differently,” Jones says. “I wouldn’t want to do anything that changed what’s going on now, which is pretty good.” Despite his reluctance to tell them he was HIV positive, he now counts his grandmother and his father among his biggest health advocates. “Have you heard about this pill?” they frequently ask him. If you’re feeling that way, help is available. Even if you have the support of family and friends, you might consider joining a group for people newly diagnosed with HIV to find out how they handled the news. 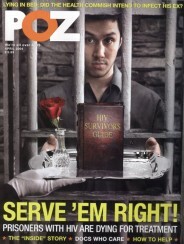 Many AIDS service organizations (find one at directory.poz.com) offer support groups along with other professional services, such as drug recovery programs and treatment education workshops. They also can help you deal with legal, financial or housing problems. 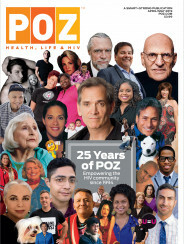 For around-the-clock online support, check out the POZ Forums (forums.poz.com) designed for friends, family and caregivers as well as people with HIV/AIDS. Today, people are living longer than ever with HIV, and an essential first step after your diagnosis is connecting to care and treatment. Find an HIV doctor you trust and with whom you feel comfortable. Educate yourself about your treatment options. The more you know about HIV, the better you’ll be able to advocate for what you need in order to survive and thrive.